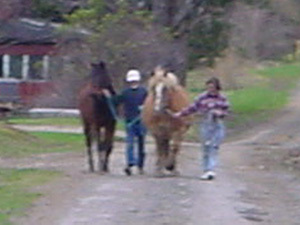 Chickoree is a 25 year old mustang cross adopted to a 16 year old girl whom fell in love with him. 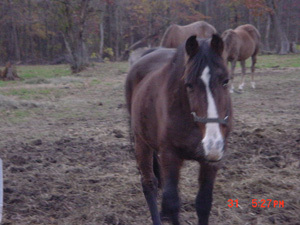 He is not rideable but Kattie fell in love and provides for his every need (boarding and vets) all on her own. 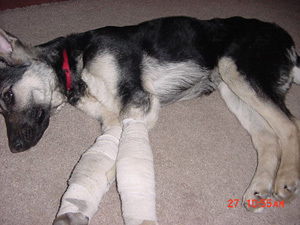 Gracie is a german shepherd puppy that was hit by car and left to fend for itself by the owners. She had injured both front legs and had to wear leg braces for months. She has been adopted and is a loving home. We count this little guy as one of our best success stories of all. We seize animals from homes that are neglectful or abusive, but in this case, the animal remained with the owner, who was educated on how to properly care for their puppy. Subsequent visits showed that the puppy had been cared for very well and we are proud to say that the dog is now very healthy and happy with its original owner. 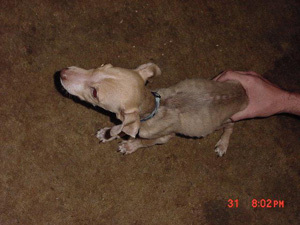 Many times when animals are taken from negligent owners, they go out and get another animal from any one of the many sources of cheap animals with no background checks, such as local newspaper ads, flea markets or even neighbors whose dogs have produced a litter. These people are free to continue to hurt animals until they are put in jail or just plain give up on the idea. If we are able to educate a person in the proper care, training and general maintenance of an animal and they accept the information and make a change, then we have not only saved that animals life, but countless others who may have been hurt over years of misinformation and incorrect care. Please take every opportunity to become more educated about caring for your pet, then PASS THE INFORMATION ALONG! You never know how many animals may be saved because you took 5 minutes to educate someone. Holly was left unattended by adoptees and allowed her to get about 300 pounds overweight and Coda was about 300 pounds underweight. These two where removed from the adoptive homes and Holly is now at perfect weight with no health issues and provides services for riding for the handicapped. Coda has gained weight and is in great shape. He is leased by the Frady family of Parker, PA.